So as you know, Erased Tapes is 5 years old (reminder here). And, unlike most 5-year olds, who tend to be on the receiving end of presents, this one just keeps on giving. 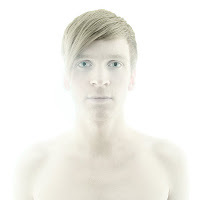 Among other things this week, new music from Icelandic composer Olafur Arnalds. It's a 7 inch single featuring two pieces of music written for dance performances. Here's some detail on it. This limited edition single captures two exciting tracks for two dance projects. The first 'Endalaus II' was created for 'Endalaus' by Norwegian Choreographer Alan Lucien Øyen, commissioned and performed by the Iceland Dance company. Fans will recognise the track as one of the highlights from Ólafur's recent live shows, creating an emotional punch against the classical strings. You know how things come together sometimes, coincidences you could say. Well two albums came my way in the last month or so which seem to me to be connected, although as far as I know there's no direct contact between the people involved. Naim Amor is a French guitar player and singer who has spent the last ten years or so living in Tucson, Arizona. While living there, he's rubbed up against Howe Gelb, Calexico and other members of that city's notable music community. He sings in English and French and plays a kind of smoky, beautifully understated French jazz. Apparently, Howe Gelb says he's the best guitar player he's seen, and he's seen a few. His new album Dansons is just out on Vacilando 68 and it breaks new ground in combining Brazilian rhythms with Amor's well bedded French roots style. The result is a fascinating mixture of desert folk and sunny samba. Here's the opening track from the album, Creole, a great example of that fusion. One of my favourite labels, Erased Tapes, celebrates 5 years in business. It's been responsible for some of the best music of the last few years, music that I'm fondest of, that's really stayed with me. The first time I came across the label was when I interviewed Peter Broderick in 2009 when he played in Cork. After the interview, as we were passing the merch stand, he handed me a CD copy of Music from Falling for Trees, a soundtrack to a recently composed dance piece. It was quite brilliant, I soon discovered. And that lead on to Nils Frahm, Olafur Arnalds, A Winged Victory for the Sullen, World's End Girlfriend, and so on. To mark the 5 years, the label are undertaking a landmark tour with three of the aforementioned. Here are the details. Some new music came our way today and we thought we’d do a little sharing. Because it’s particularly beautiful, but also because the band in question plays in Cork on May 3rd (Triskel Christchurch, also Whelan’s in Dublin on Apr 30th) (Note: The Cork gig was subsequently, and unfortuately, cancelled.). 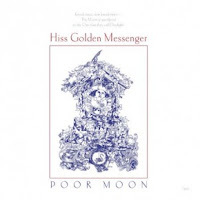 The music in question is by Hiss Golden Messenger, lead by Mike Taylor, the album Poor moon. Here’s the biog, courtesy of the record label, Tompkins Square. 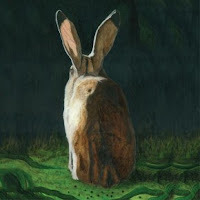 One of Thrill Jockey’s latest releases is the new album by English folk/avant artist Alexander Tucker. I say folk – and folk fans will find plenty to like about the album – but really that’s only a small part of what’s going on in the music. Add kosmische, prog, tape manipulation and electronics, and you’re closer to the effect. That abstract list of genre tags won’t prepare you, though, for the warmth and accessibility of the album. Very fine Irish albums don't come along all that often (although more often these days, perhaps because there simply are more of them released), so I tend to sit up and take notice when one as conceptually coherent, brilliantly produced and downright catchy as Wake up to the waves comes along. Here's a review I wrote of the album for Cork zine WeAreNoise, original link http://wearenoise.com/index.php/2012/05/last-days-of-1984-wake-up-to-the-waves-osaka/. 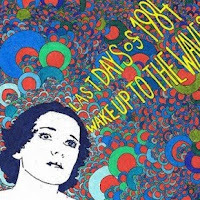 Last Days of 1984 are a duo from Dublin – Darren Moloney and Brian Rice – who make blissed-out dance music, using swirling, whooshing synths to create a giddy tropical house rush.